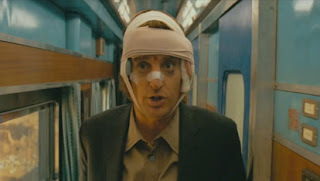 Bashionista: If You Like Darjeeling Limited . . . If you like Owen Wilson . . .
. . . rent Midnight in Paris. ﻿ Owen Wilson plays Woody Allen . . . if Woody Allen was obsessed with Paris in the 1920s and miraculously stumbled on a way to time travel there every night at midnight. Charming and fun, this movie pokes fun as nostalgia junkies like myself. There's also an excellent cameo of Adrien Brody as Salvador Dali. Just sayin'. If you like Anjelica Huston . . .
. . . rent 50/50. 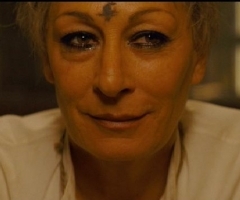 Anjelica Huston plays the mother of Joseph Gordon-Levit, who has just been diagnosed with cancer in his 20's and has a 50/50 chance of surviving. She loves her son, but she is a big bundle of emotions and neuroses - like any mother would be in that situation. Huston sells it and is one of the best things about this twisted comedy. If you like Jason Schwartzman . . .
. . . rent Scott Pilgrim vs. the World. 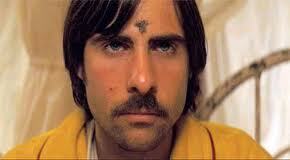 Jason Schwartzman is killer as Gideon Graves, founder of the league of evil exes, and Scott Pilgrim's nemesis. For my money, this movie is the pinnacle of the comic book genre - it's visually arresting, hilariously funny, packed with action, and never takes itself too seriously. If you like Natalie Portman . . .
. . . rent Black Swan. This is Natalie Portman's Oscar-winning performance as a ballerina who undergoes a complete psychotic break. And if Darin Aronofsky knows one thing, it's how to film people having psychotic breaks. It's an intense and unforgettable performance. 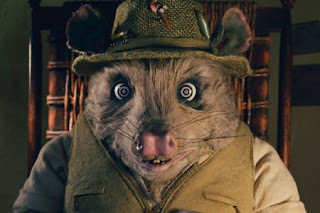 If you like Wallace Wolodarsky . . .
. . . rent Fantastic Mr. Fox. ﻿ I love Fantastic Mr. Fox so much that I based a movie night on it. And Kylie is one of the most unassuming and lovable sidekicks in the history of film. 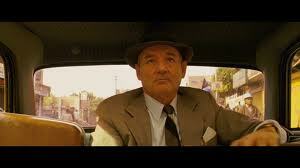 Wallace Wolodarsky really brings him to life. Also, there's a great little cameo by Owen Wilson, and a teeny tiny mouse cameo by Adrien Brody; I laugh my face off every time I watch the scene with Badger the real estate agent - voiced by Bill Murray; and Jason Schwartzman was born to play the part of Ash. If you like Bill Murray . . .
. . . rent Zombieland. ﻿﻿﻿ Do yourself a favor and rent this movie. It's a hip and modern take on the zombie apocalypse - but it's Bill Murray's cameo as himself that makes this movie pure genius.